Some platforms have very different budgets than others. 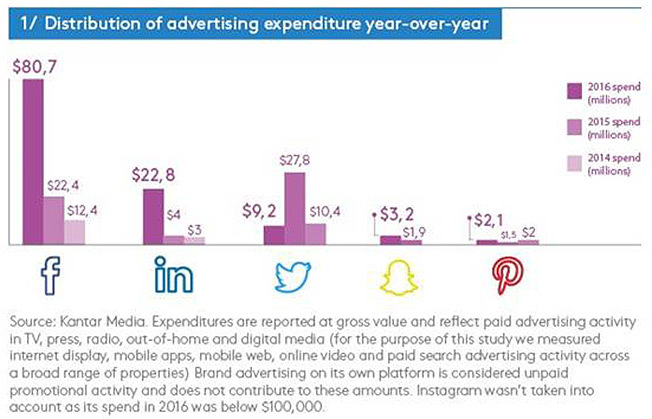 Kantar Media just analyzed the $117.9 million spent on marketing in the U.S. last year by Facebook, Twitter, LinkedIn, Snapchat and Pinterest. 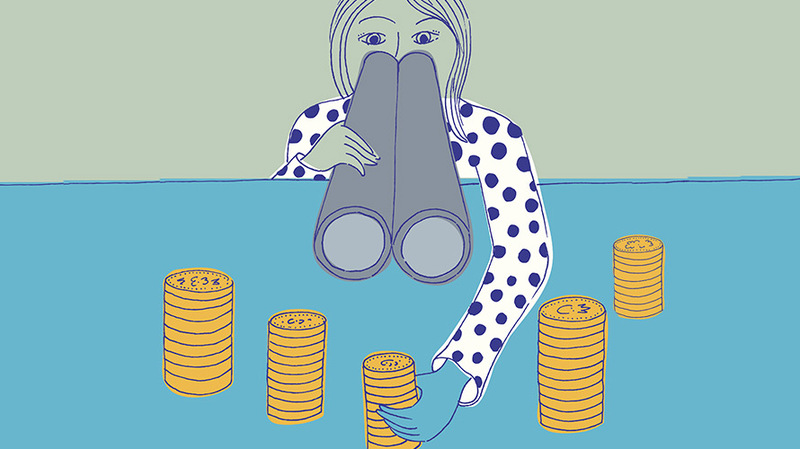 Facebook by far outspent its competitors in 2016, running campaigns to the tune of $80.7 million, which represents a 260 percent year-over-year increase. 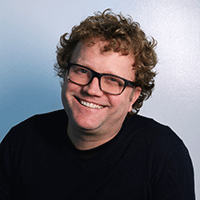 While LinkedIn increased its marketing spend by more than five times, Twitter spent 70 percent less than it did in 2015. Snapchat and Pinterest both concluded the year with a lift in spending, yet they remained well below the platforms at the top. 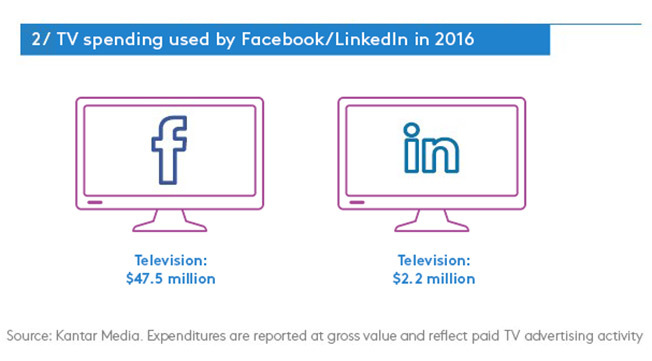 Facebook was particularly TV-happy last year, while LinkedIn made its largest annual investment to date ($2.2 million) on television. 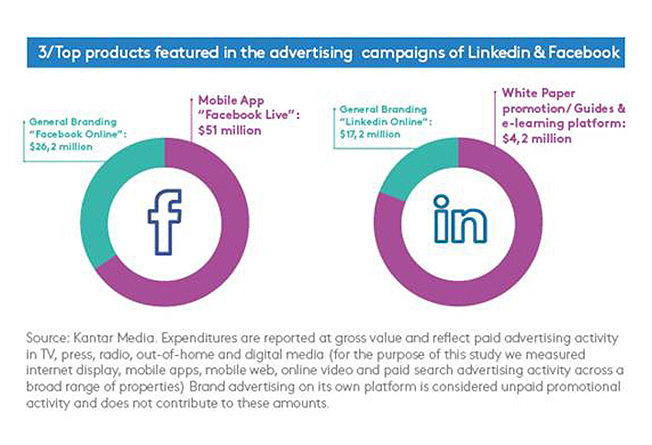 LinkedIn’s big ad buy, per Kantar Media, was for the Oscars, which accounted for 80 percent of its TV budget. 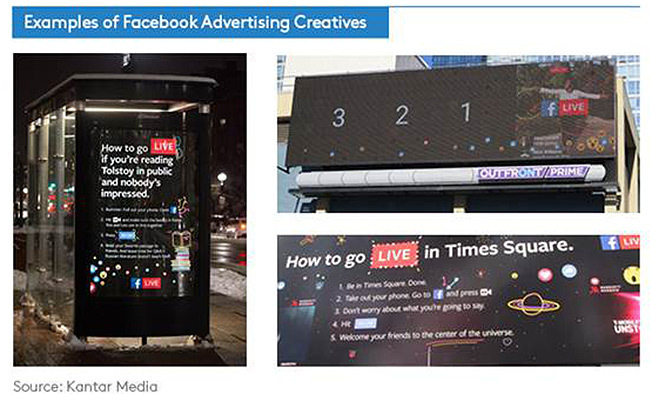 Perhaps most noteworthy: Facebook spent $51 million, or about 64 percent of its entire budget, to promote Facebook Live, its livestreaming feature. 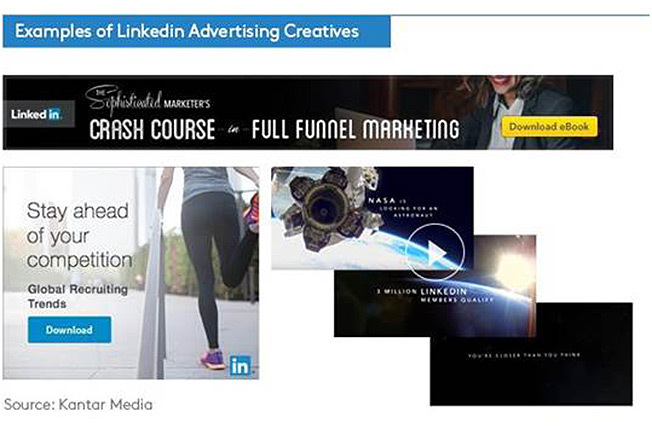 Kantar Media offered the following examples of Facebook and LinkedIn’s ad creative.